Ever since my blog went down, one of my best posts, this one to be precise, is unavailable. This is an upgraded and a more complete version of the same. The method of consoling into a network device (router/switch/firewall/Load Balancer) from Windows is pretty well explained. Download PuTTY, connect a serial cable and you’re good to go. But how to do the same in Mac? Well, Mac’s Terminal.app has inbuilt ssh and serial abilities. You just need to extend it with a small plugin. The plugin for your device can be downloaded from this website or, for the lazy and impatient, from here. 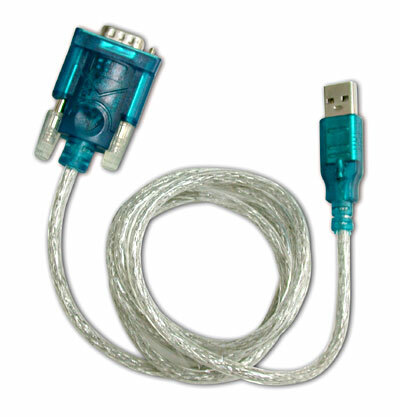 This is an RS232 to USB adapter that you can find on Amazon or at the Telecom Lab at CU Boulder. After you’re done installing the drivers, connect the cable and fire up the Terminal app. This will give you a list of all the ports that you can console with. (Observe the keyword tty, it’s the basis for the name PuTTY). Screen is the inbuilt program used to console into devices from terminal. 9600 is the baud rate of the device and is also often configured differently for each device in PuTTY. Once you see Screen running, you’re in! You can now see the exact same result you see using PuTTY. 2. Often, you need to use a break sequence when booting up a device in order to get into password recovery mode. The sequence for Screen is – Ctrl+a and then Ctrl+b Ctrl+b Ctrl+b (note that after pressing Ctrl+a, you will need to press Ctrl+b about 3 times to go into recovery mode.) Thanks to EtherealMind for this tip. That’s all folks! You now have the freedom to console into network devices using your Mac! If you connect via putty on Windows as virtual machine make sure you go into device manager and see new entry for com port, by default putty assign com 1, device manager may have com 3 entry ..